It poured for awhile, then let up a bit, so I decided to bike into town so that I didn’t go stir crazy here in the condo. It’s a cute place, but I don’t want to spend every waking hour here while I’m on vacation. Because on my bike ride, my flip flop got caught on a damn topes. 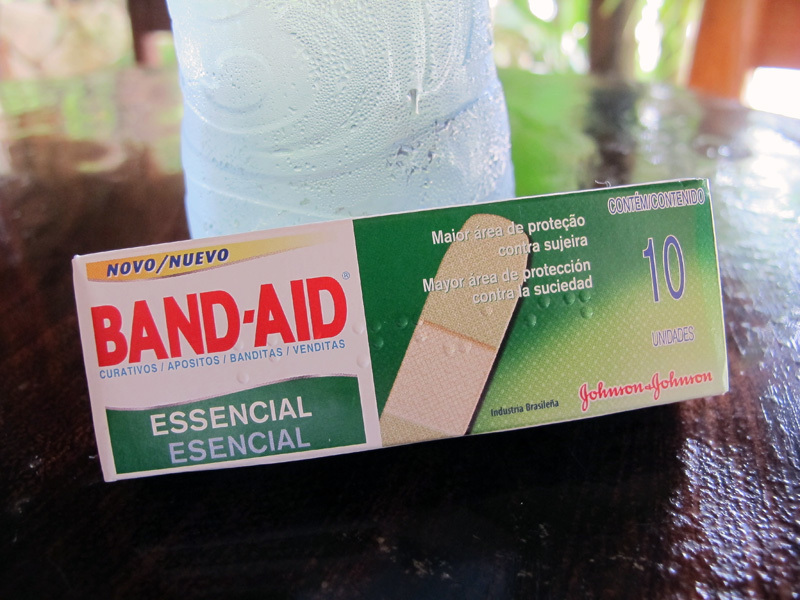 I lost the flip flop and the bike pedal came up and hit me in the shin. It’s like, “Really, Deb??? 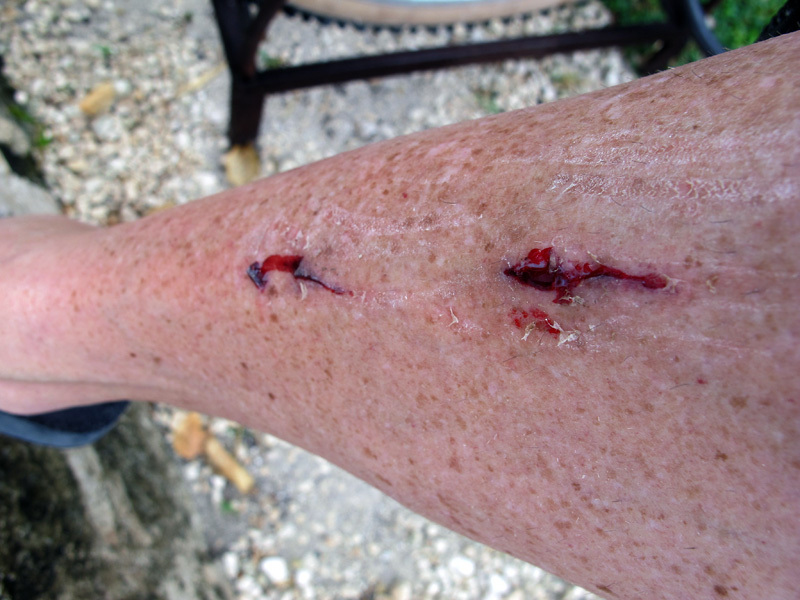 You can climb a mile up Coba (well, maybe not a whole mile, but it felt like it), and you get wounded on a freaking bicycle? ?” Tell me about it. At least I didn’t fall. That would have been one major embarrassment. But I did have to stop the bike and go back for the damn flip flop. Lovely, huh? This is from the window of my dining area where I do all my blog work. As you can see from the blurry photo, the wind and water are working up a storm. When I took a walk out there a little while ago, some of the waves were getting up to that middle palm. 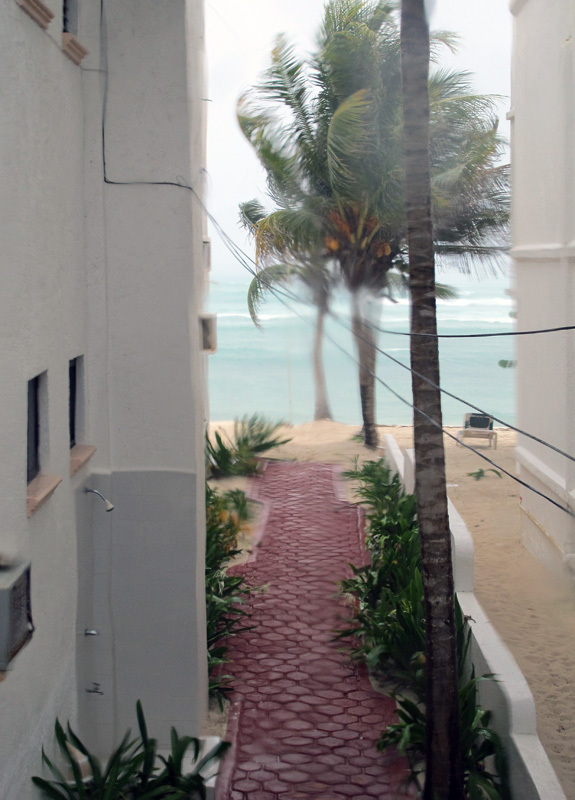 The condos right on the beach have their hurricane shutters up. I don’t have any hurricane shutters! I look out on that churning sea and I can see how powerful it is. I don’t think we have anything to worry about here, but it definitely is a reality check when it comes to Mother Nature. On a final sad note, there was one fatality from Ernesto. 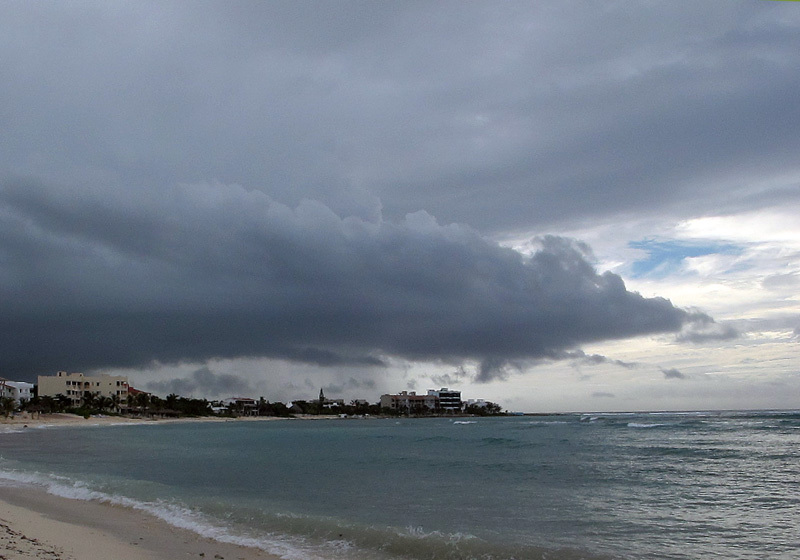 While biking back from town, the downpour effected my camera and it’s pretty much gone. I’m very sad. That camera has accompanied me on many trips to Mexico and I’m sorry to see it go. I didn’t bring another camera, so I won’t be taking anymore pictures during my stay. Luckily, I saved all my previous pictures on a flash drive, so I will still be able to do posts on Tulum and the cenotes. Right now, I’m kind of in mourning. 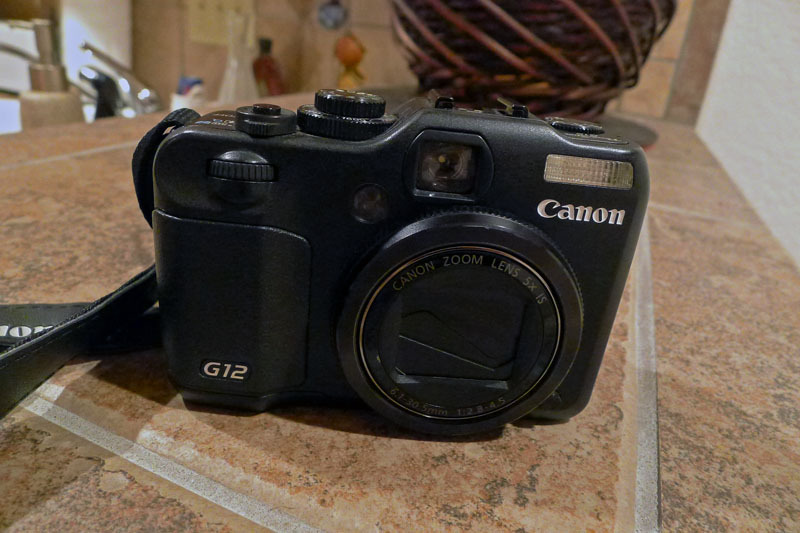 Goodbye, G12…you’ve been a good traveling buddy. This entry was posted on August 8, 2012 by EditorDeb. It was filed under Uncategorized . So sorry Deb. That’s an extreme bummer about the camera and your shin! I’m betting the wind and waves are impressive from your setting! Hopefully Ernesto will be out of there later today. Hate it that you won’t be able to take photos of the rest of your adventures. That camera has taken some amazing pictures – of course you had a little to do with it too! I’ve never broken a camera before – I lose them before they have time to break. Left one in a cab from Cancun to the ferry… Didn’t realize it till I got to my hotel. It had some amazing pictures I took of some of the Mayan girls on the beach and mourned over losing those much more than the camera, Look forward to seeing the rest of your pictures and glad the hurricane wasn’t more dangerous.